Interesting option to spend some time swimming in Chamblee. Is it not your initial time here? Tell us how it went working with the Facebook comments beneath or contacting us directly! 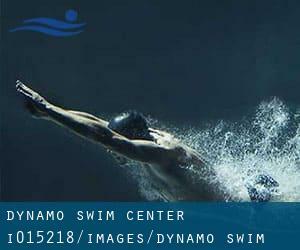 Dynamo Swim Club Chamblee is only one of all of the swimming pools Swimia is providing you, and its information and facts has been shared with us by a swimmer like you.Remember it is possible to now promote Dynamo Swim Club Chamblee by sharing this page with your pals, adding comments and linking to us. For this Pool, only phone number is number here. If you believe that any in the facts is incorrect, please contact us. Help us be better day-by-day. Updated on 2019 102 Ollie Street, N.W. , Northwest , Atlanta , GA , USA (Postal Code: 30314). This great and large sports center lets professional swimmers like you enjoy 25 yards x 25 meters, 10 lanes, Indoors. Additionally, within these facilities you can try 25 yards, 4 lanes, Indoors. Unfortunately we do not have the e-mail address of this Swimming Pool, but we can provide you with the phone number. Updated on 2019 3201 Martin Luther King Jr. Dr., SW , Southwest , Atlanta , GA , USA (Postal Code: 30311). Among all the activities offered by the center, if you are keen on swimming you will appreciate Olympic size x 25 yards, 8 lanes, Indoors. Just in case you want to contact this Swimming Pool before dropping by, we only know the phone number. Updated on 2019 365 Cleveland Ave., S.E. , Atlanta , GA , USA (Postal Code: 30344). Swimmers like you have reported 25 yards, 8 lanes, Indoors. Also, you will find 20 yards, 2 lanes, Indoors. Just in case you want to contact this Swimming Pool before dropping by, we only know the phone number. 795 Old Roswell Rd. , Roswell , GA , USA (Postal Code: 30076). Swimmers like you reported 25 yards, 6 lanes, Indoors. Unfortunately we do not have the email address of this Pool, but we can give you the phone number. 4255 Will Lee Road , College Park , GA , USA (Postal Code: 30349). Swimmers like you reported 25 yards, 3 lanes, 12 feet maximum depth, Indoors. Unfortunately we do not have the email address of this Swimming Pool, but we can give you the phone number. Updated on 2019 70 Boulevard N.E. , Northeast , Atlanta , GA , USA (Postal Code: 30308). This sports center offers 25 yards, 6 lanes x 25 meters, 6 lanes x 25 meters, 5 lanes, 4 feet - 12 feet depth, Indoors. For this Swimming Pool, only phone number is number here. 5530 Winward Parkway , Windward , Alpharetta , GA , USA (Postal Code: 30005). This sports center offers 25 yards, 4 lanes, Indoors. For this Swimming Pool, only phone number is number here. Updated on 2019 75 14th St. N.E. , Midtown , Atlanta , GA , USA (Postal Code: 30309). Among all of the activities provided by the center, when you are interested in swimming you may enjoy 19 meters x 10 meters, 5 feet depth, Indoors. Just in case you wish to contact this Swimming Pool before dropping by, we only know the phone number. 966 W. Paces Ferry Rd. N.W. , Atlanta , GA , USA (Postal Code: 30327). Swimmers like you reported 25 yards x 42 feet, 6 lanes, Indoors. Updated on 2019 3434 Peachtree Rd. N.E. , Buckhead , Atlanta , GA , USA (Postal Code: 30326). Among all of the activities provided by the center, when you are interested in swimming you may enjoy 20 yards x 30 feet, Indoors. Just in case you wish to contact this Swimming Pool before dropping by, we only know the phone number. Updated on 2019 SAAC , Clairmount Campus , 1946 Starvine Way , Decatur , GA (Postal Code: 30033). Among all the activities offered by the center, for anyone who is interested in swimming you will appreciate Olympic size x 25 yards, Indoors, Outdoors. Updated on 2019 Peachtree and 10th St. , Midtown , Atlanta , GA , USA (Postal Code: 30309). Among all of the activities provided by the center, when you are interested in swimming you may enjoy 18 yards, Indoors. Just in case you wish to contact this Swimming Pool before dropping by, we only know the phone number. 1515 Sheridan Rd. N.E. , North Druid Hills , Atlanta , GA , USA (Postal Code: 30324). Swimmers like you reported 25 meters, 6 lanes, Indoors. Unfortunately we do not have the email address of this Pool, but we can give you the phone number.